Hip Baby Blog: Hip Baby's new Winter Hours. 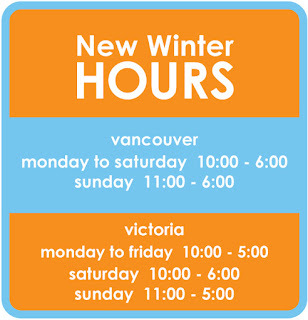 Hip Baby's new Winter Hours. 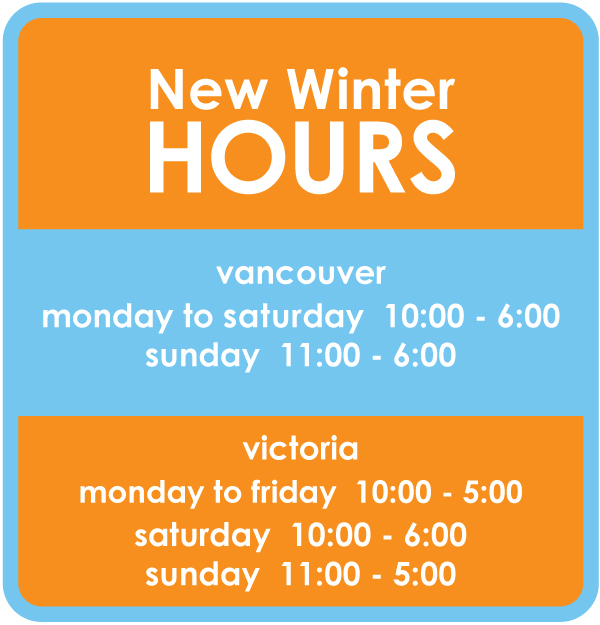 Now that the hustle and bustle of the Holiday Season is over and there remains about three more months of wintry weather here in our lovely city, we've decided here at Hip Baby to adopt winter hours for both the Vancouver and Victoria locations. Please take note of our new hours above. Once the weather starts to warm up and the days get longer once again, we'll be sure to return to our regular hours. And we apologize in advance should this cause any inconvenience to our customers.